This is the Railway bridge across the Derwent. In the 1880's when the Derwent was in flood, men were stationed on top of this bridge with large poles to push away any debris to make sure that no accumulation of trees blocked and caused serious damage to the bridge. 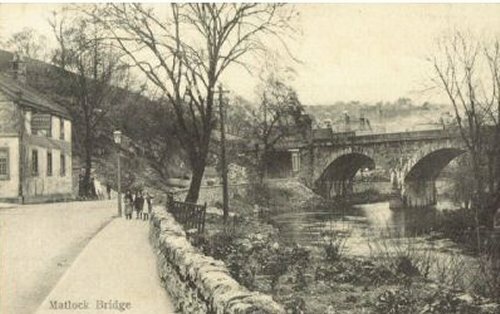 It is a flood that seems to have been forgotten in Matlock history. It would have made the floods of the 1960's second rate. The building on the left is the Boat House public house.